Imagine putting strong acid in a container that was designed to handle strong acid, no problem right? That is exactly what’s going on with the acid in your stomach. Now imagine dropping something into that container of acid. This is a good thing when you want to break down foods and eliminate bacteria’s or dissolve things in general. Now imagine a container that was not designed to hold strong acids? This is a problem when you have acid in this environment. That is exactly what’s going on with the rest of your body when you do anything that requires metabolism or the production of energy. The good news is that your wonderfully designed body can through very complex process’s neutralize and expel that acid up to a point. The bad news is almost all Americans are way past that point so it’s like having a bunch of acid eating away at you from the inside out. You are not only putting a great strain on all your organs that are working overtime to keep up, but you are leaching away bone and muscle that it then uses to buffer the blood in this process. 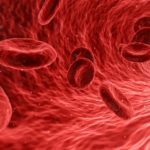 Fat deposits build up to store the toxic acid that your body can’t process and your arteries collect plaque to protect the walls from the acid and your whole body starts aging much faster than it should and you develop all kinds of symptoms which stem from your bodies inability to keep up with the acid in your system. This is not good is it? Well this is a problem because the container we are talking about is your body and we can’t pour a bunch of baking soda into it because you can’t handle all that sodium. Another problem is that when you put anything like Tums or baking soda into your stomach it stops working at your stomach and can’t get to the rest of your body where neutralizing acid is really needed. Power pH is the solution because Power pH is designed to pass the stomach and be taken up into the system at the intestinal level where it becomes bio-available to systemically neutralize acids through the entire body. Over acidity causes inflammation! Another word for inflammation is “itis”. Think of all the health conditions that end in “itis”! If you reduce the acidity you reduce the inflammation. More and more research is being done that is showing inflammation to be the cause of all kinds of disease states. Studies are finding that when cells become inflamed that it triggers body responses that could be responsible for a whole host of disease states. If a product stops working at the stomach by only reducing acids in the stomach, like Tums, Maalox or baking soda, then it is considered an “antacid”. Antacids have been found to have a rebound effect causing the stomach to produce more acid and so then you need to take more. Proton pump inhibitors which shut down the hydrochloric acid pumps in your stomach leave you defenseless against bacteria which lead to increased cases of food poisoning. Some people who use these medications have shown an increased risk for bone density loss. The other problem with shutting down the acid pumps in your stomach is you do not fully digest your food so while you eat food you can experience malnutrition in some extreme cases. 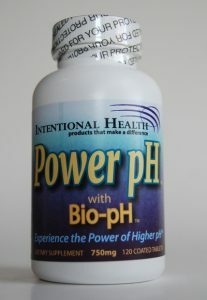 Power pH passes through cell walls so it works in the entire body to reduce inflammation caused by acid. Power pH is not an antacid but rather an “anti-otis”. 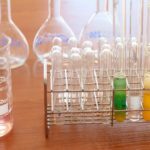 Staying Alkaline over a long period of time has a positive compounding effect on your quality of life that is only matched by the negative compounding effect of being acidic over a long period of time. Now the choice is yours. Power pH is the best health insurance on the market today!